You want to fall pregnant. You want a baby. You want a healthy baby. You are desperate for IVF to be successful. 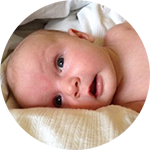 IVF is a huge emotional and financial investment. To have a healthy pregnancy and a healthy baby, you and your partner need to go into your forthcoming cycle in the best health possible. 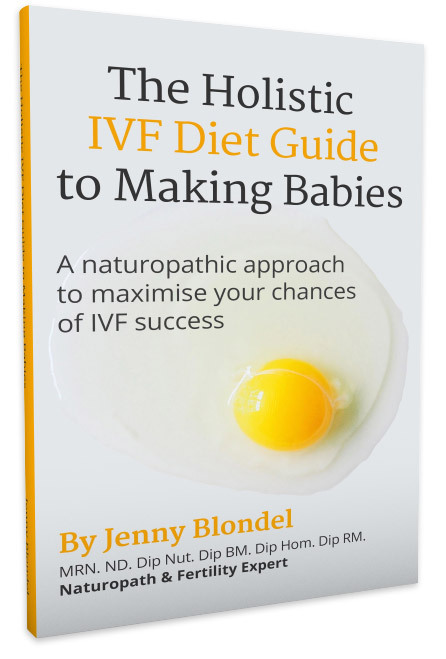 The Holistic IVF Diet Guide to Making Babies book provides expert naturopathic advice and information on how you can improve your chances of IVF success and to have a healthy baby. It draws on my 20 years of clinical experience treating the fertility issues of women and men, and my own experience of IVF. This is not just for people going through IVF, it is a must-have resource for any couple experiencing infertility problems. While there is much advice available from various sources, this book offers so much more – providing you the information you need to ensure you and your partner are as healthy as possible in the quest to have a happy, healthy baby. Due to a combination of PCOS and my husband’s issues with sperm health, we were told by our doctor we would need to have IVF (ICSI) if we were wanting to start a family. I wanted to give it ‘our all’ so we took on board the dietary and lifestyle changes found in this book to prepare both my husband’s and my body for the forthcoming cycle. When we were finally ready to start the IVF cycle, we were both physically and mentally ready. We followed Jenny’s IVF diet plan, stress support plan and took the targeted supplements as recommended. It was incredible, our IVF cycle was successful and our beautiful baby girl was born 9 months later. It’s not just the detailed, relevant information, but how sympathetically it is written – a must-have for anyone on the IVF journey. How to remain ‘sane’ during the 2 week wait with highly effective meditation and visualisation techniques, flower essences and more. 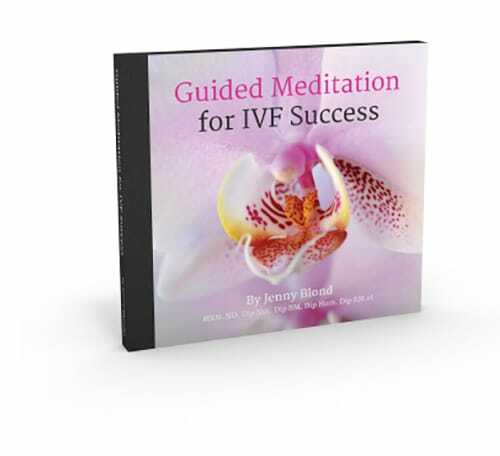 This book is the first of its kind – a comprehensive resource to maximse your chances of success and support you during your fertility and IVF journey – before, during and beyond. Paperback and digital versions available! Through Jenny’s wisdom and knowledge we discovered the benefit of a change in diet to promote egg quality. After putting Jenny’s advice into action we were delighted during the next IVF cycle to obtain a high number of quality eggs which fertilized. As I enter this testimony I eagerly await the arrival of our first bundle of joy! This dedicated cookbook is packed full of delicious and healthy recipes for each meal of the day as well as daily menu plans – taking one stress away during your cycle. discover nutritious-balanced delicious foods specific for your reproductive needs. see in your mind’s eye a seamless embryo transfer and a healthy implantation. Why am I an expert in women’s reproductive health? I am a registered naturopath, nutritionist, homoeopath and medical herbalist, and a fertility expert. I am the author of the popular The Natural PCOS Diet. With 20 years experience in clinical practice, I am passionate about women’s health, fertility and the quest to bring healthy babies into the world. My greatest satisfaction is when patients tell me they are finally pregnant. I take a proactive approach to improving your health and wellbeing. Many of my patients compliment me on my understanding and compassionate nature. 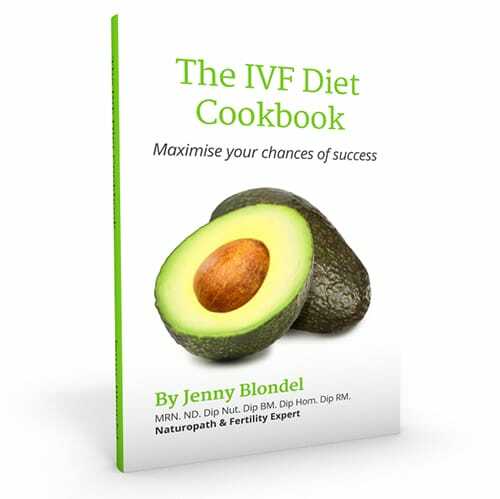 You can also purchase the The Holistic IVF Diet Guide to Making Babies in paperback on Amazon. Also, don’t forget to ‘like me’ on Facebook and keep up-to-date on all news on fertility and IVF including latest reseach and treatments.